As my toddler grows up, it becomes increasingly challenging to feed her. They say, the stage of picky eating may be overcome by giving your child a variety of healthy options. This way, she can be introduced to different tastes and textures. Nutrition is priority, but aesthetics and presentation can also play a vital role. Mealtimes are not only feeding times, but opportunities to stimulate the child’s senses as well. Sounds like a big challenge! Good thing I’ve found some resource materials to help me plan a weekly menu. 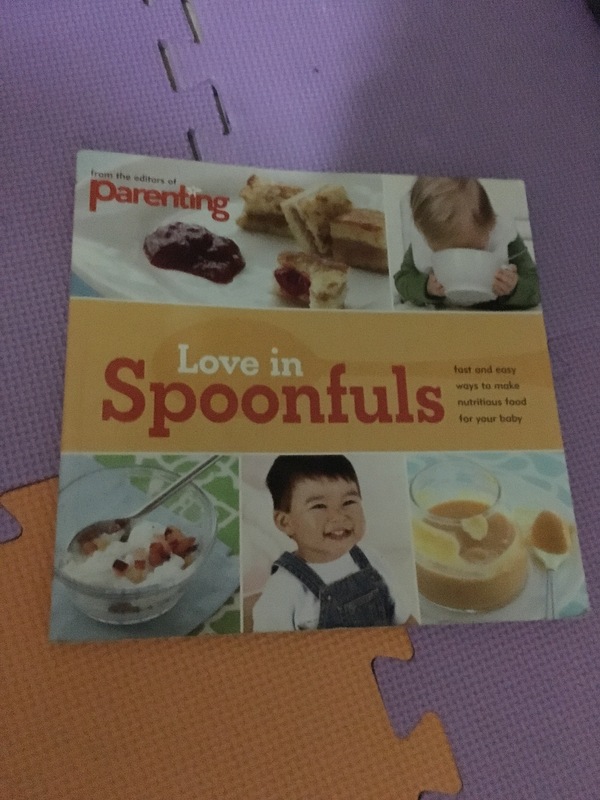 This cookbook features easy-to-follow recipes for your little tots. They also recommend other healthy alternatives for some ingredients that may be hard to find in stores. But what I particularly like about this book are the tidbits of nutritional trivia per recipe. Very helpful for newbie moms like me. Can’t wait to cook pasta stars in tomato sauce this weekend! A new year deserves a new entry. After all, the new year always brings a surge of hope for new beginnings—a time to start new things. That’s why new year’s resolutions abound during this time: a lot of gyms are full nowadays and most people are on a no-rice / no-dessert diet, especially after all the holiday binge. I might be quick to jump on this bandwagon, but I have another idea on how to lose all those excess holiday pounds. A colleague of mine from the office has told me about his weight loss journey, all because of the Soup Mate Pro. For seven days, he only cooked, ate and drank soup (based on a soup cookbook and this soup making machine), and he quickly lost 20 pounds after a week! WOOOOW! I’m hoping to try this for myself and my husband too. Dieting is no fun when you’re alone, so we promised each other to shed those pounds and share in the misery 🙂 I purchased the kit already (another new thing, as this is my first purchase from home tv shopping!) and we’re going to start Day one come Monday next week. Here’s hoping that our soup journey will be successful! Long weekend means family time at the dinner table. And when there is time, the family always requests for my cooking. Since we’ve been eating out a lot lately, I thought to try out a healthier dish: Ginataang Gulay for dinner. My toddler loves kalabasa, and my husband needs to learn how to appreciate vegetables, so this was the perfect dish. Put-in the shrimp. Cook for 1 to 2 minutes. Remove from the pot and set aside. Meanwhile, put-in the bagoong alamang and pour-in the coconut milk. Stir and let boil. Put the shrimp back in the pot. Stir and cook for a minute. Add the string beans (sitaw) and malunggay leaves. Cook for 2 to 3 minutes. 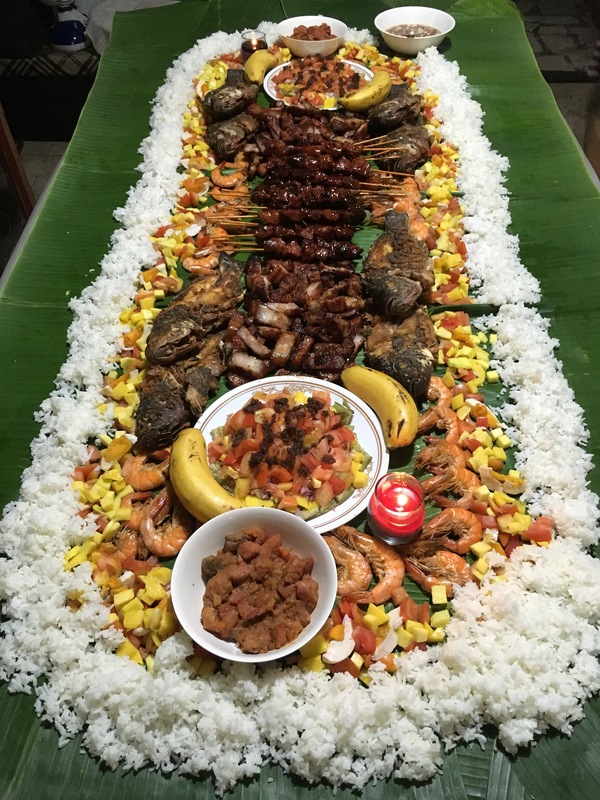 We didn’t have malunggay at the time, but it was alright. The saltiness of the bagoong balanced the sweetness of the gata. The shrimps added more flavor to the vegetables. Very easy to prepare and cook. Last Saturday, we had leftover ground pork. Rather than cook traditional spaghetti, I thought of learning a new pasta dish: Baked Macaroni. It’s been a while since we have used the oven too, so I thought this will be a good time to get it up and running. *Bloggers’ Note: Most of my recipes come from Panlasang Pinoy. I will be posting and linking recipe info to the abovementioned website. Sharing this link I found on the Knorr website: Lutong Nanay: Preserving Home Cooked Meals in a Changing World. I think that no matter how busy we get, we need to connect with our husbands and children through home-cooked meals. Which is why these past few months, I have been saving my weekends to learn how to make their favorite, comfort food– sinampalukang manok, escabeche, pork binagoongan, kare kare, kaldereta, and more recently, baked macaroni. (I will be sharing these recipes also in separate entries). I want my children to enjoy good food and bring these good memories with them as they grow older. I want my husband to be proud of his wife who can cook really delicious meals for the family. And I want my family to treasure eating at our dinner table, despite our hectic schedules and busy lives. Kudos to Knorr and their #LutongNanay advocacy. May we all learn the value of home cooked meals and sharing these with our families.